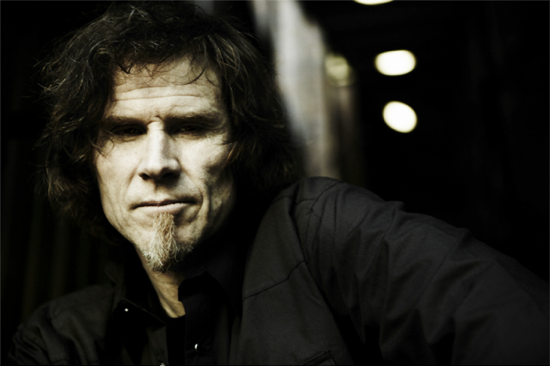 Mark William Lanegan (born November 25, 1964) is an American alternative rock musician and singer-songwriter. 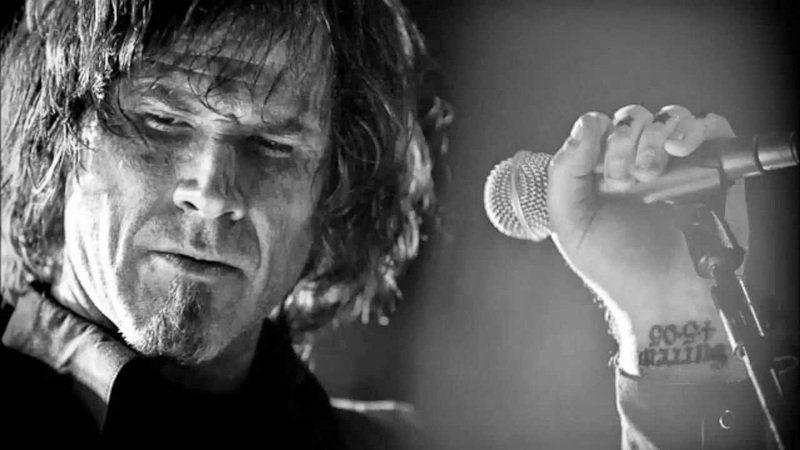 Born and raised in Ellensburg, Washington, Lanegan began his musical career in 1984, forming the grunge band Screaming Trees with Gary Lee Conner, Van Conner and Mark Pickerel. During his time in the band, Lanegan also started a low-key solo career and released his first solo studio album, The Winding Sheet, in 1990. 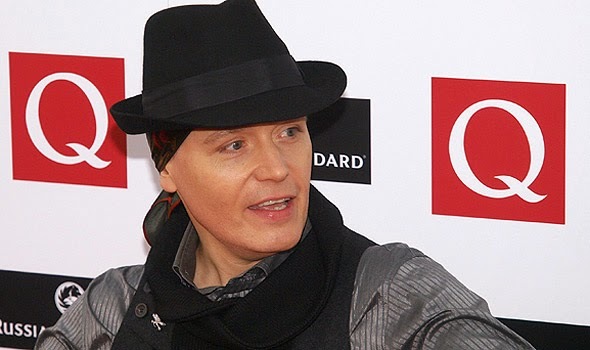 Since 1990, he has released a further six studio albums and has received critical recognition and moderate commercial success. 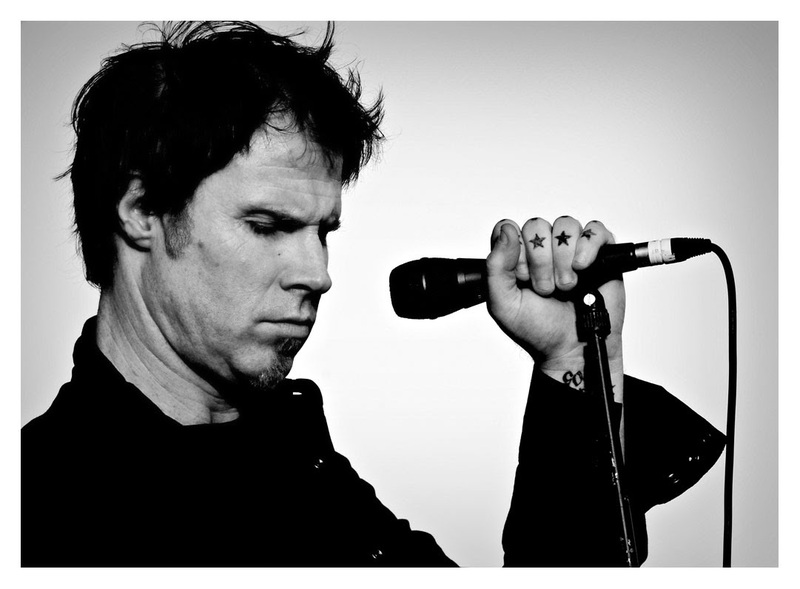 Lanegan has also collaborated with various artists and bands throughout his career, including with Kurt Cobain of Nirvana prior to the group's breakout success with their album, Nevermind, recording an unreleased album of songs by the blues singer, Lead Belly. 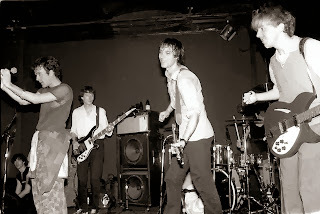 Lanegan also performed with Layne Staley in the side band, Mad Season. It was intended that Lanegan was to take over vocals in Mad Season full-time after Staley declined to make a second album. 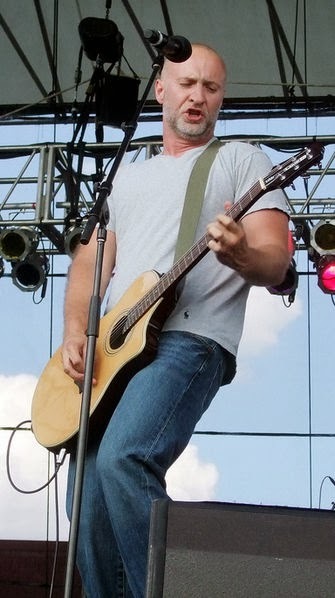 Following the dissolution of The Screaming Trees in 2000, he became a member of Queens of the Stone Age and is featured on five of the band's albums—Rated R (2000), Songs for the Deaf (2002), Lullabies to Paralyze (2005), Era Vulgaris (2007) and ...Like Clockwork (2013). Lanegan also formed The Gutter Twins with Greg Dulli in 2003, released three collaboration albums with former Belle and Sebastian singer Isobel Campbell, and contributed to releases by Melissa Auf der Maur, Martina Topley Bird, Creature with the Atom Brain, Moby, Bomb the Bass, Soulsavers and Mad Season. Lanegan has a distinctive baritone voice that has been described "as scratchy as a three-day beard yet as supple and pliable as moccasin leather" and compared to Tom Waits. 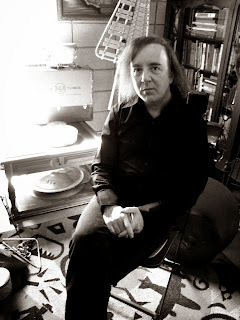 Mitch Easter (Born November 15, 1954) is a songwriter, musician, and producer. 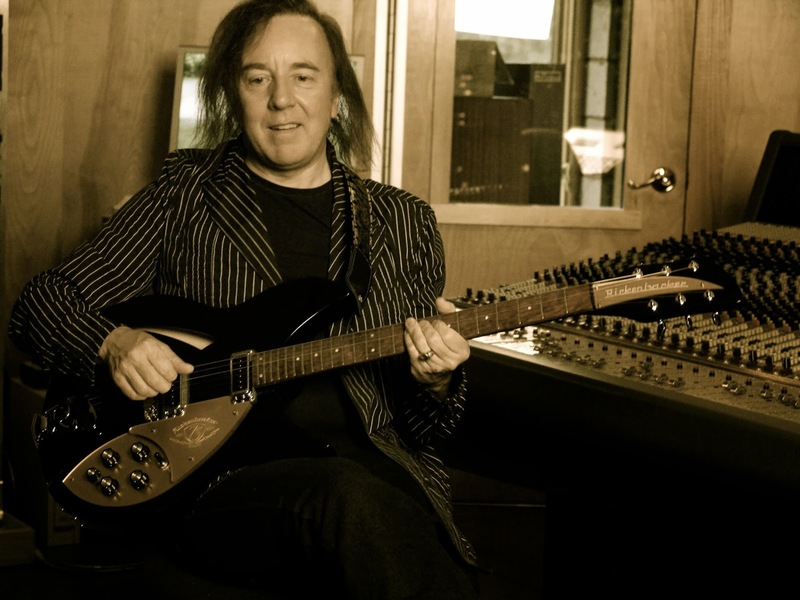 As a producer, he is probably best known for his work with R.E.M. 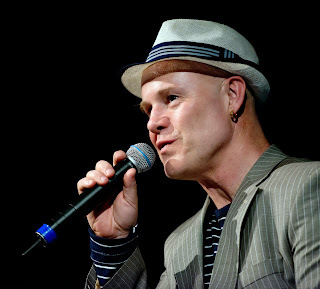 from 1981 through 1984, though he has also worked with many other acts including Ben Folds Five, Pylon, Helium, Pavement, Suzanne Vega, Game Theory, Marshall Crenshaw, The Connells, Velvet Crush, Ken Stringfellow (of The Posies), and Birds of Avalon. As a musician, Easter played with the Sneakers during the late 1970s; was the frontman for the band Let's Active during the 1980s and released his first solo album in 2007. Although commercial success eluded the group, Let's Active's offbeat pop style of jangle pop/power pop was a major influence on later groups such as the aforementioned R.E.M. 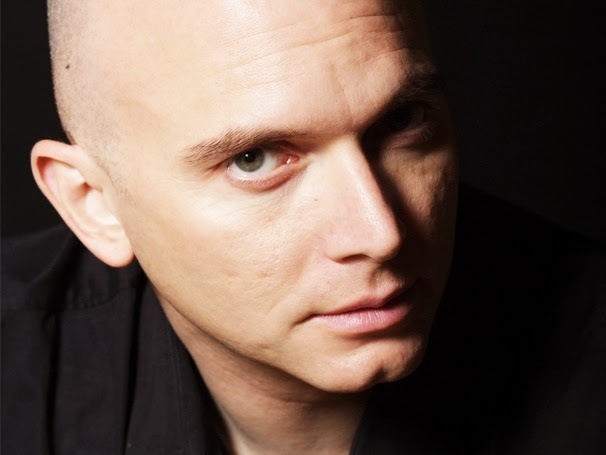 Michael Cerveris (born November 6, 1960) is an American singer, guitarist and actor. He has performed in many stage musicals and plays, including several Stephen Sondheim musicals: Assassins, Sweeney Todd, Road Show, and Passion. He won the Tony Award as Best Featured Actor in a Musical for Assassins. 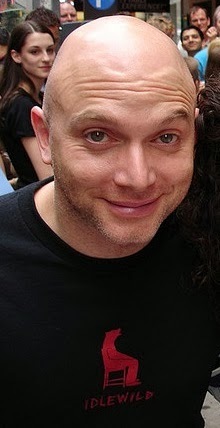 He was called, by Playbill.com, "arguably the most versatile leading man on Broadway",playing roles from "Shakespeare's Romeo to The Who's Tommy, from the German transsexual rock diva Hedwig in Hedwig and the Angry Inch to the homicidal title character of Sondheim's Sweeney Todd." 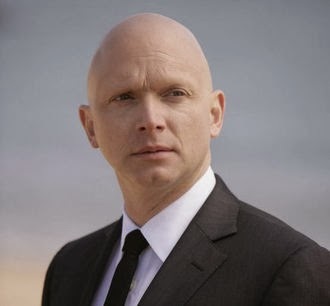 Cerveris' most visible television role to date has been as the Observer code-named September in the FOX science fiction television series Fringe. 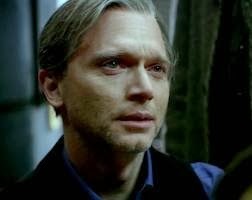 His character, a mysterious man seen attending many unusual events, has appeared regularly during the series and became one of the main characters to bring the story to its end. 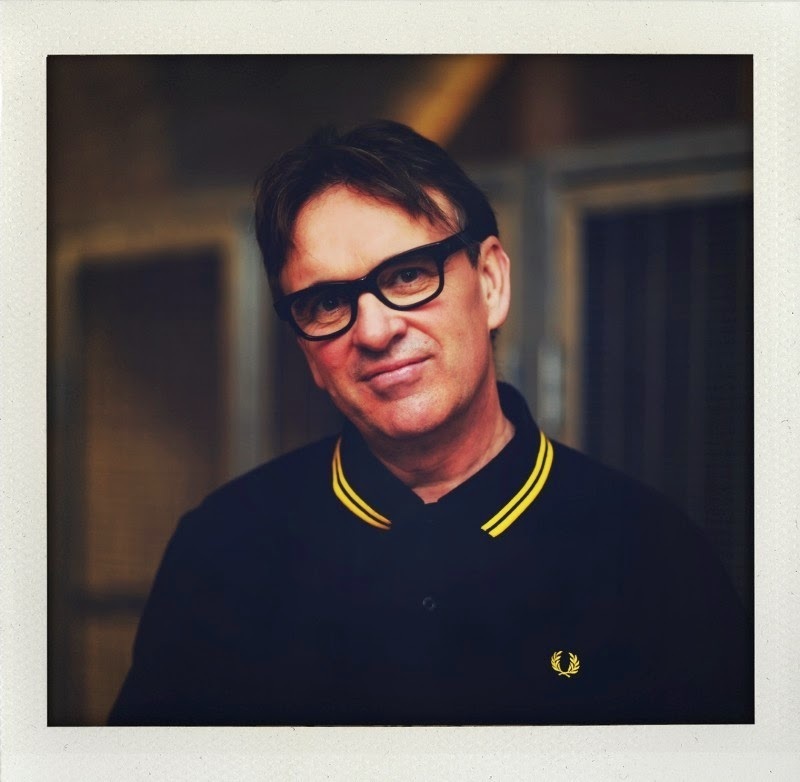 Christopher Henry Difford, born 4 November 1954, is an English singer, musician, songwriter, and record producer. 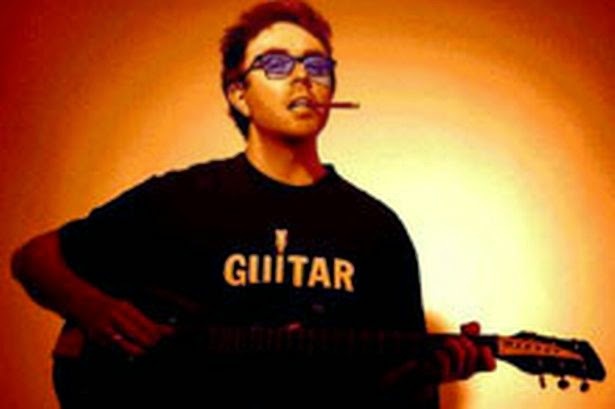 He was a founding member and songwriter of the British group Squeeze. 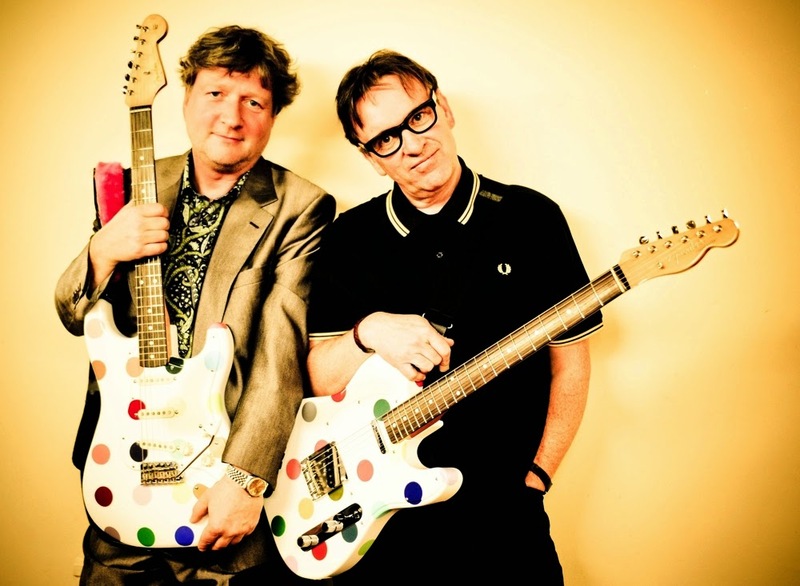 Born in Greenwich, London, Difford has written lyrics for over 30 years, most notably in partnership with Glenn Tilbrook. The two were primary members in Squeeze and Difford & Tilbrook. Some of their best-known songs are "Tempted", "Pulling Mussels (From the Shell)", "Black Coffee in Bed", "Cool for Cats", "Up the Junction" and "Annie Get Your Gun". After the breakup of Squeeze in 1983 Difford continued writing songs with Glenn Tilbrook for artists such as Jools Holland, Helen Shapiro, Billy Bremner and Elvis Costello. He has also written lyrics for music by Jools Holland, Elton John, Wet Wet Wet, Marti Pellow and others. He was involved with Tilbrook and John Turner in the creation of a musical, Labeled with Love, which was created using the songs of Squeeze. The 1983 musical performed in Deptford was short-lived. In 1984 the pair released the album Difford and Tilbrook and had a minor hit in the UK with Love's Crashing Waves which reached 57 in the UK charts. In 1985 Squeeze reunited, having hits in the U.S. with Babylon and On, Hourglass and 853-5937. 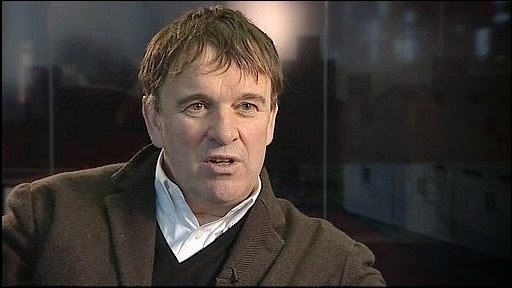 Difford left the group in 1999 launching a solo career in 2003 with his album I Didn't Get Where I Am. Difford was also manager of Bryan Ferry and The Strypes. In March 2010, Difford curated Songs In The Key Of London, an evening of music dedicated to the capital at the Barbican Centre, London. 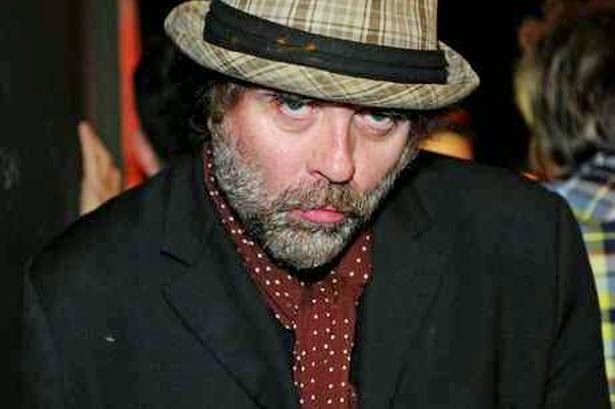 Robert Ian McNabb (born 3 November 1960) is an English singer-songwriter and musician from Liverpool, England. 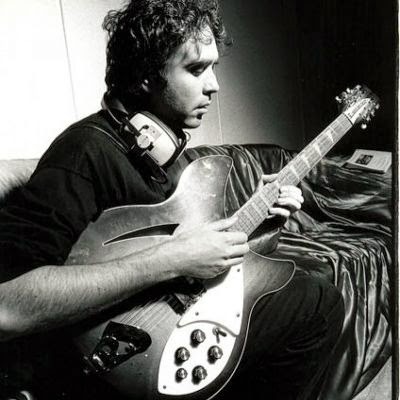 He is known both for his work as leader and songwriter-in-chief of The Icicle Works in the 1980s, and his critically acclaimed solo career throughout from the early 1990s to date. 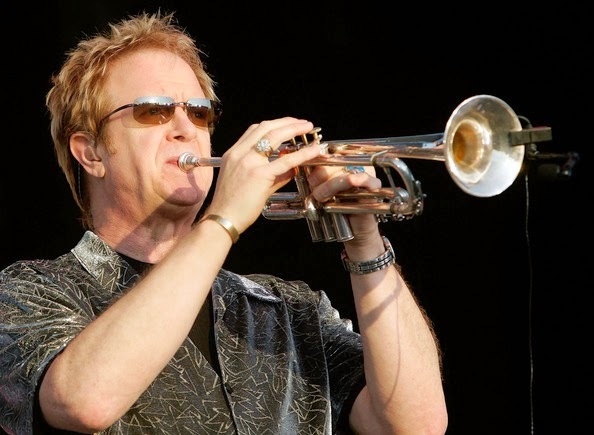 He has also played with musicians as diverse as Ringo Starr, Crazy Horse, Mike Scott (of The Waterboys), and Danny Thompson of folk band Pentangle. McNabb's first book, an autobiography entitled Merseybeast, was released in October 2008. 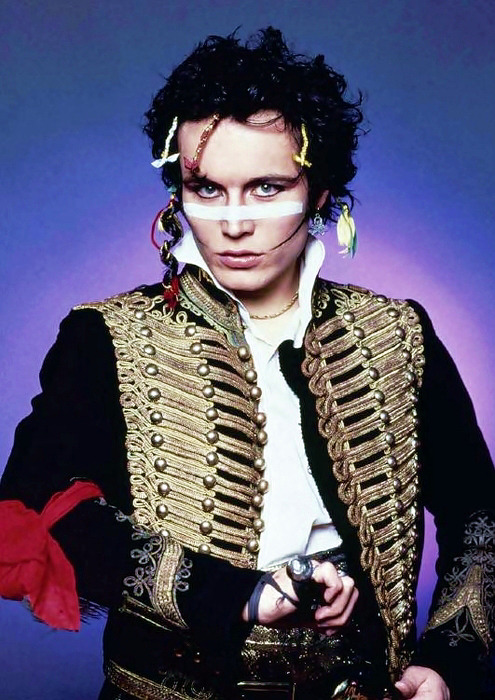 Adam Ant (born Stuart Leslie Goddard, on 3 November 1954, in Marylebone, London) is an English musician who gained popularity as the lead singer of post-punk group Adam and the Ants and later as a solo artist, scoring 10 UK top ten hits from 1980 to 1983, including three No. 1s. 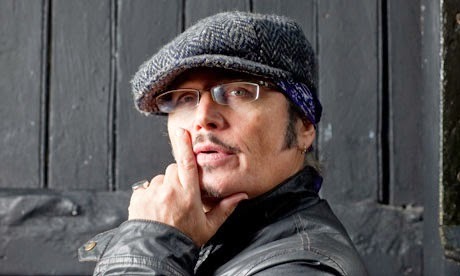 He has also worked as an actor, appearing in over two dozen films and television episodes from 1985 to 2003. Since 2010, Ant has undertaken an intensive reactivation of his musical career, performing live regularly in his hometown of London and beyond, recording and releasing a new album and with three full-length UK national tours, two US national tours and a short Australian tour. 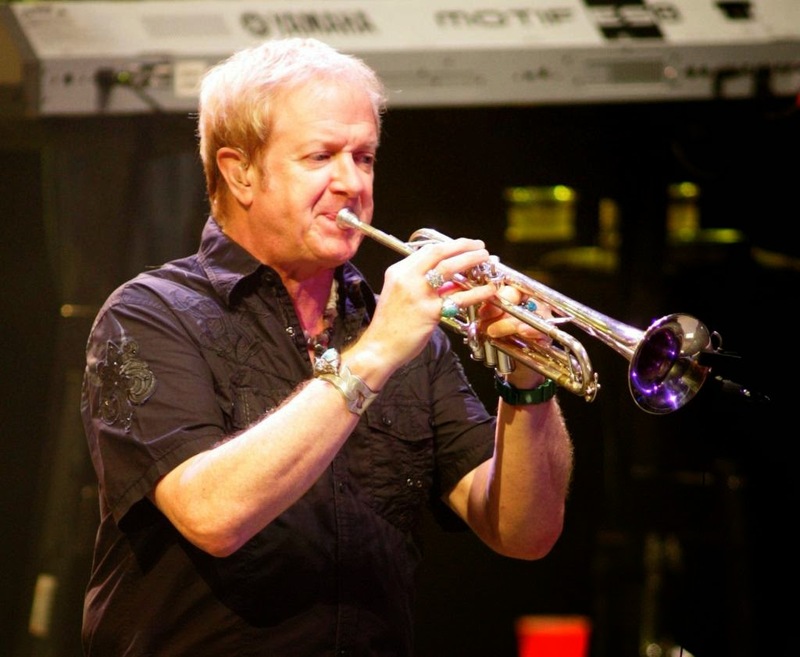 Lee Loughnane (pronounced LOCK-nane), born October 21, 1946, Elmwood Park, Illinois) is an American trumpeter, flugelhorn player, vocalist, and songwriter, best known for being a founding member of the rock band Chicago. Through his friendship with guitarist Terry Kath, Loughnane met drummer Danny Seraphine and saxophone/woodwind player Walter Parazaider. Parazaider, who was trying to form a rock band with horns, encouraged Loughnane to sit in on rehearsals. At first, the group was known as The Big Thing. Eventually it was renamed to The Chicago Transit Authority with the addition of members James Pankow on trombone, Robert Lamm on vocals and keyboards, and Peter Cetera on vocals and bass. Later renamed to Chicago, Loughnane has been a member since its inception. Loughnane's songwriting contributions for Chicago have included the hit singles "Call on Me" from Chicago VII and "No Tell Lover" from Hot Streets, as well as album cuts such as "Together Again" on Chicago X and "This Time" on Chicago XI. Loughnane received his lead vocal debut on the Terry Kath composition "Song of The Evergreens" on Chicago VII. He has also provided background vocals on several Chicago songs, and the occasional lead vocal such as on "Let it Snow! Let It Snow! Let It Snow!" 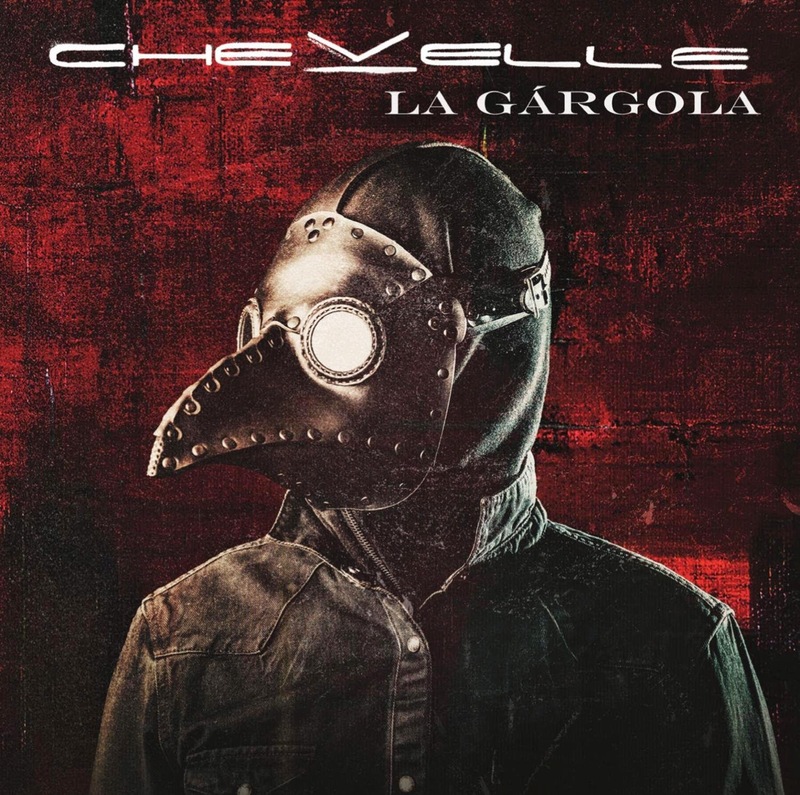 from Chicago XXV: The Christmas Album. Loughnane played horns on the Bee Gees' album Spirits Having Flown. He is also a member of Phi Mu Alpha Sinfonia, and was given the National Citation as well as recognition as Signature Sinfonian along with fellow Chicago members and Sinfonians on August 26, 2009. 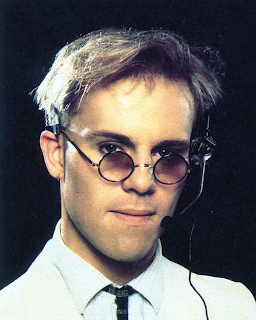 Thomas Dolby (born Thomas Morgan Robertson; 14 October 1958) is an English musician and producer. Best known for his 1982 hit "She Blinded Me with Science", and 1984 single "Hyperactive!" 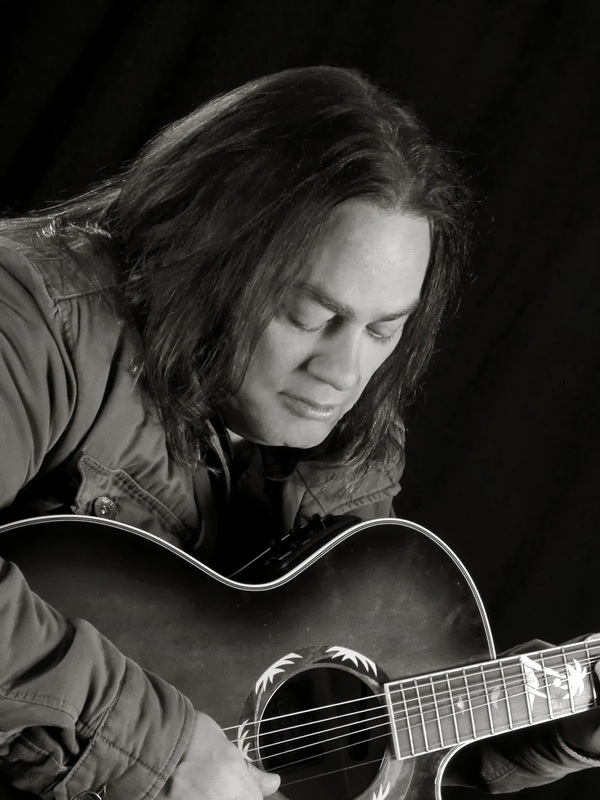 he has also worked extensively in production and as a session musician. 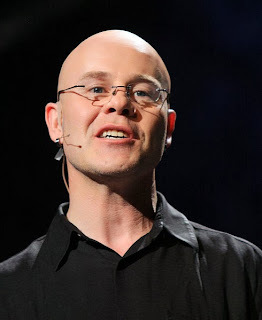 Since 2001 Dolby has acted as Musical Director of The TED Conference, an annual event held first in Monterey, California, and subsequently in Long Beach, California that attracts some of the world's foremost thinkers, inventors, and speakers. In this capacity he provides live musical introductions to sessions, sometimes with an eclectic TED House Band, as well as helping secure guest musicians and entertainers for the event. 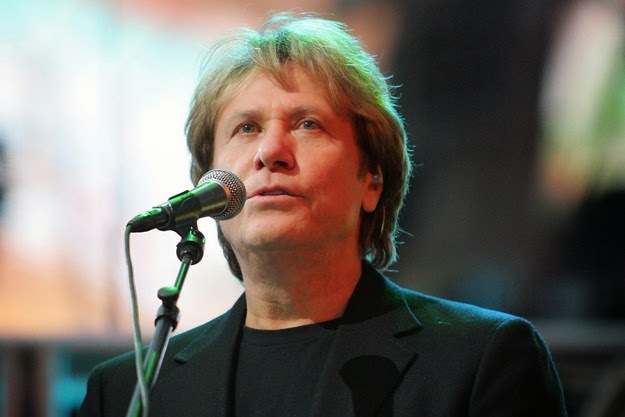 Robert William Lamm (born October 13, 1944) is an American keyboardist, singer and songwriter who came to fame as a founding member of the pop rock band Chicago. He wrote many of the band's biggest hits, including "Does Anybody Really Know What Time It Is? 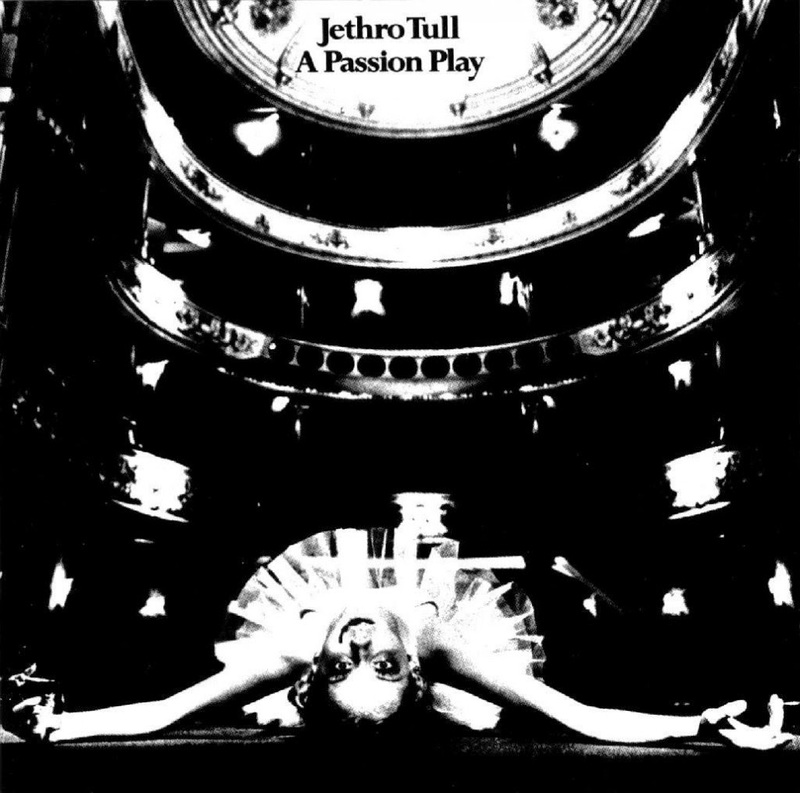 ", "Beginnings", "Saturday in the Park", "Dialogue (Part I & II)" and "25 or 6 to 4". 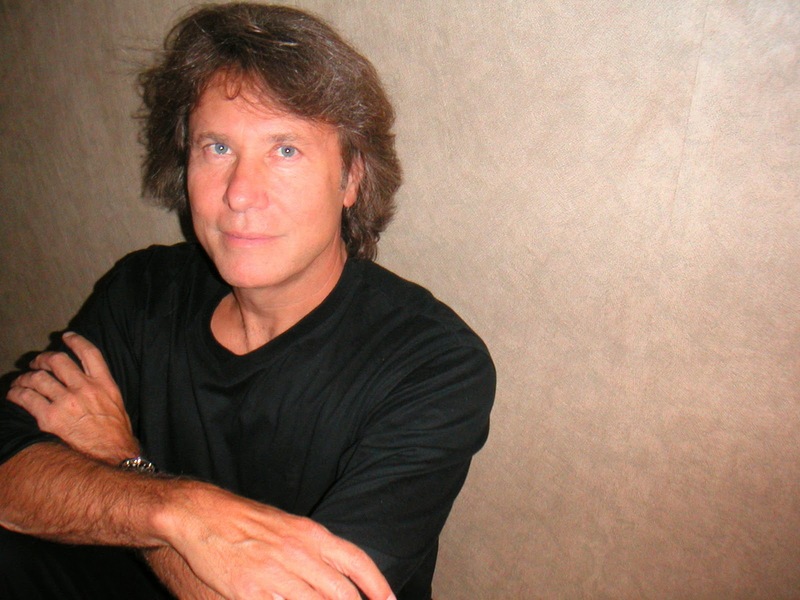 Robert Lamm was born on October 13, 1944, in Brooklyn, New York and moved with his family to Chicago, Illinois, when he was 15 years old. His parents had a collection of jazz records, which were an early influence on him. At his church, he performed in the boys' and men's choir. He studied art in high school, particularly drawing and painting, but changed direction in college by enrolling in the music program at Roosevelt University in Chicago. In a 2003 interview, Lamm said, "My first musical training came as a member of the choir at Grace Episcopal Church, Brooklyn Heights, New York. It was a very good choir (Harry Chapin and members of his band were also in this choir at around the same time). 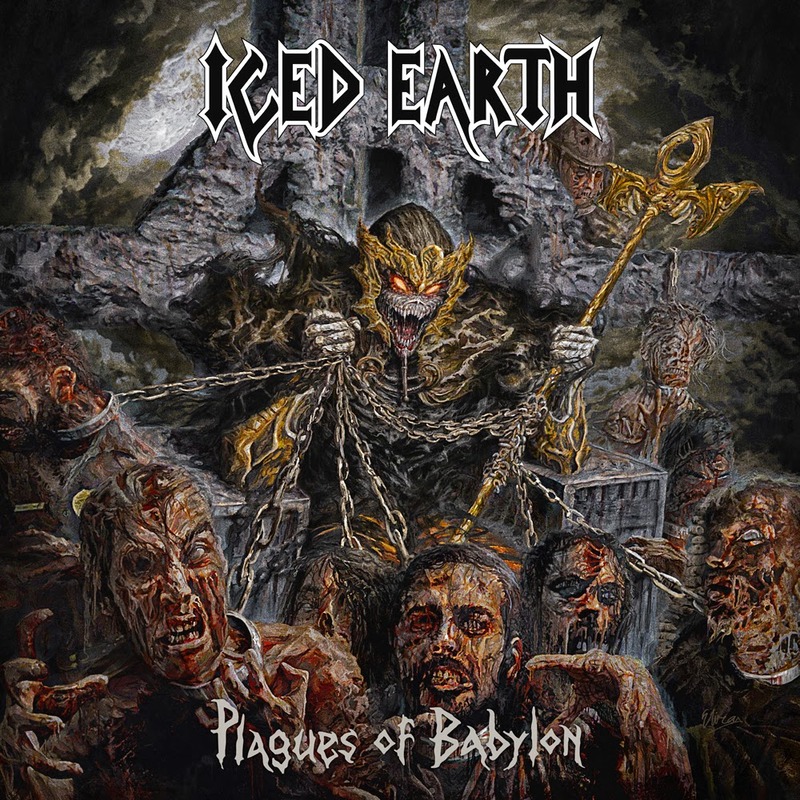 It exposed me to some of the great sacred music from the Middle Ages, right up through Bach and into some of the 20th Century composers." Lamm formed a trio with Gerry Beckley of the band America and Carl Wilson of The Beach Boys. 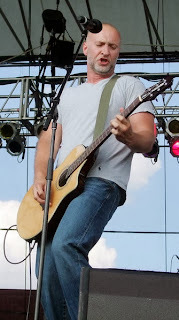 After Wilson's death from lung cancer in February 1998, an album was released entitled Like a Brother (2000). 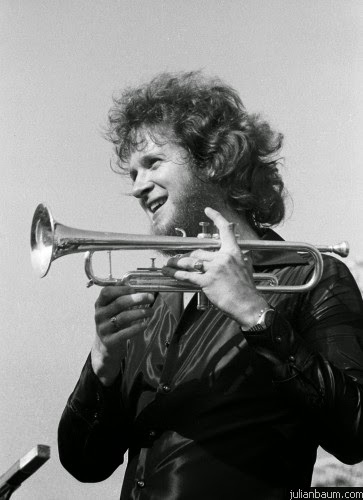 Apart from his involvement with Chicago, Lamm has recorded a number of solo albums, from in 1974 to the present. He has been a guest lecturer on music production at Stanford University. 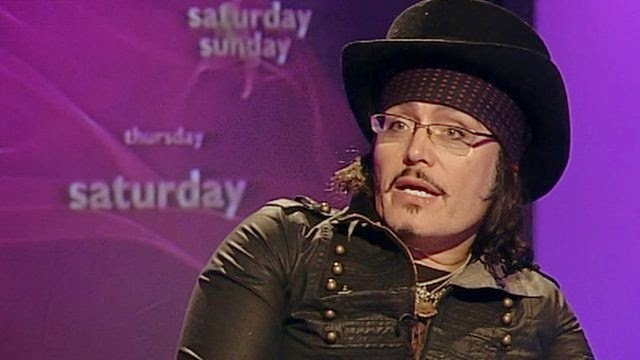 In 2012, he lectured at New York University on the subject of songwriting. Truly one of my favorite vocalists! Happy Birthday Midge! 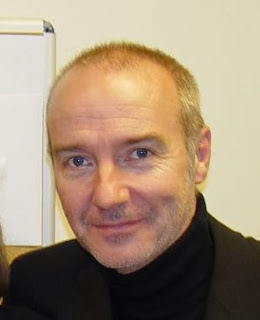 James "Midge" Ure, OBE (born 10 October 1953) is a Scottish guitarist, singer, keyboard player, and songwriter. His stage name, Midge, is a phonetic reversal of Jim, the diminutive form of his real name. Ure enjoyed particular success in the 1970s and 1980s in bands including Slik, Thin Lizzy, The Rich Kids, and Visage, and most notably as frontman of Ultravox. In 1984, Ure co-wrote and produced the charity single "Do They Know It's Christmas?" which has sold 3.7 million copies in the UK. The song is the second highest selling single in UK chart history. Ure co-organised Band Aid, Live Aid and Live 8 with Bob Geldof. Ure acts as trustee for the charity, and serves as ambassador for Save the Children. 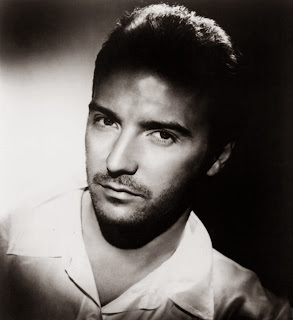 In 1985, Ure had a UK number one solo single with the song "If I Was". 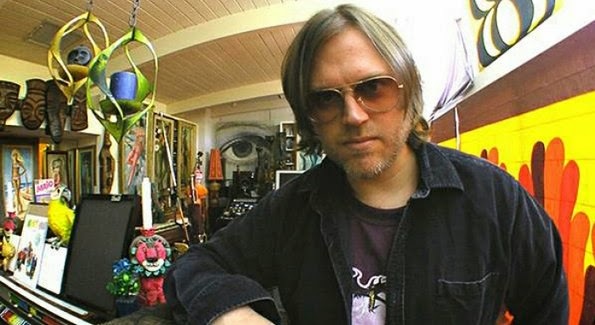 Sidney Matthew Sweet (born October 6, 1964) is an American alternative rock/power pop musician. 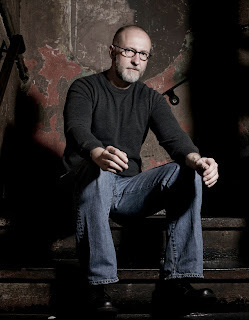 He was part of the burgeoning Athens, Georgia, music scene in the early and mid-1980s before gaining commercial success during the early 1990s. 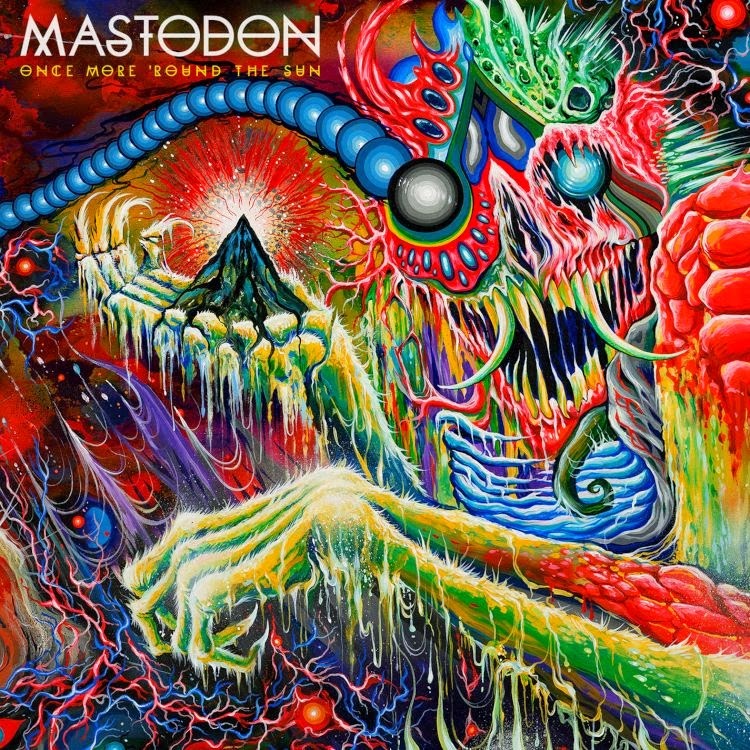 He continues to tour, and his most recent studio album, Modern Art, was released in 2011. 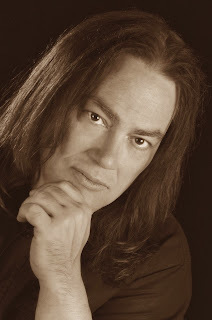 In 1980, while attending Lincoln Southeast High School, Sweet, having written and recorded songs on four-track cassettes, and having joined the band The Specs, released his first recording on a battle of bands LP produced by a local radio station, and fronted his own local band called The Dialtones. After graduating in 1983, Sweet travelled to Athens, Georgia to attend college during the vibrant Athens music scene. That same year, Sweet, who had met the band R.E.M. when they played a show in his hometown the previous year, collaborated with frontman Michael Stipe in a duo group under the name Community Trolls, as well as played guitar in Stipe's sister Lynda Stipe's band, Oh-OK. In addition, he formed another duo, The Buzz of Delight, with Oh-OK drummer David Pierce, releasing an EP, Sound Castles, in 1984 on DB Records. On the strength of this 12" vinyl, Sweet was signed to a solo recording contract with Columbia Records. In 1986, Sweet released Inside, his debut album, to good reviews but little commercial success. In 1989, Sweet released Earth, after signing with A&M Records and, again, it was well-received critically, but failed commercially. This period marked a personal and professional low point, as both his record company lost interest and his marriage failed. 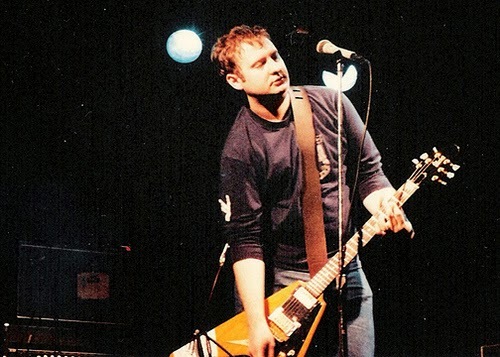 In 1990, A&M released Sweet from his contract, and he signed with rival Zoo Entertainment, which later formed into Volcano Entertainment several years later. 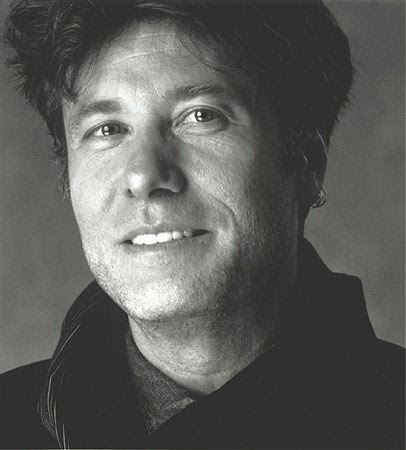 Sweet formed a new band (which included Richard Lloyd, Robert Quine, Greg Leisz, Lloyd Cole, and Fred Maher), and together they spent that year assembling his next work, originally titled Nothing Lasts. In 1991, Sweet released Girlfriend, the retitled pop-rock album which was widely considered an artistic breakthrough, and quickly garnered impressive U.S. sales, spawning a Top 10 single with the title track. The music video for "Girlfriend" (heavily aired on MTV, MuchMusic and Night Tracks) featured clips from the anime film, Space Adventure Cobra, while the video for "I've Been Waiting" used clips of the Urusei Yatsura character, Lum Invader. In 1993, Sweet released Altered Beast, a harder rock album which drew mixed reactions with its intense and brooding tracks (such as "Someone to Pull the Trigger" and "Knowing People"). The music video for the single, "The Ugly Truth" (directed by Sweet) featured the singer being chased in the desert by police while driving his own 1970 Dodge Challenger, while the video for "Time Capsule" was a literary homage to Jonathan Swift's Gulliver's Travels. In 1995, Sweet released 100% Fun, an alt-rock album best known for its lead-off track, the self-deprecating "Sick of Myself". The album itself fared better commercially, and even made it onto Entertainment Weekly critic David Browne's years-best list. 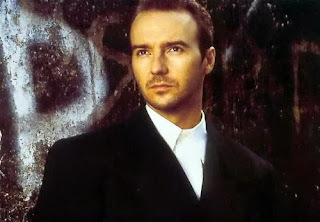 In 1997, Sweet released Blue Sky on Mars, a new-wave album which featured the synth-laden singles "Where You Get Love" and "Come to California". 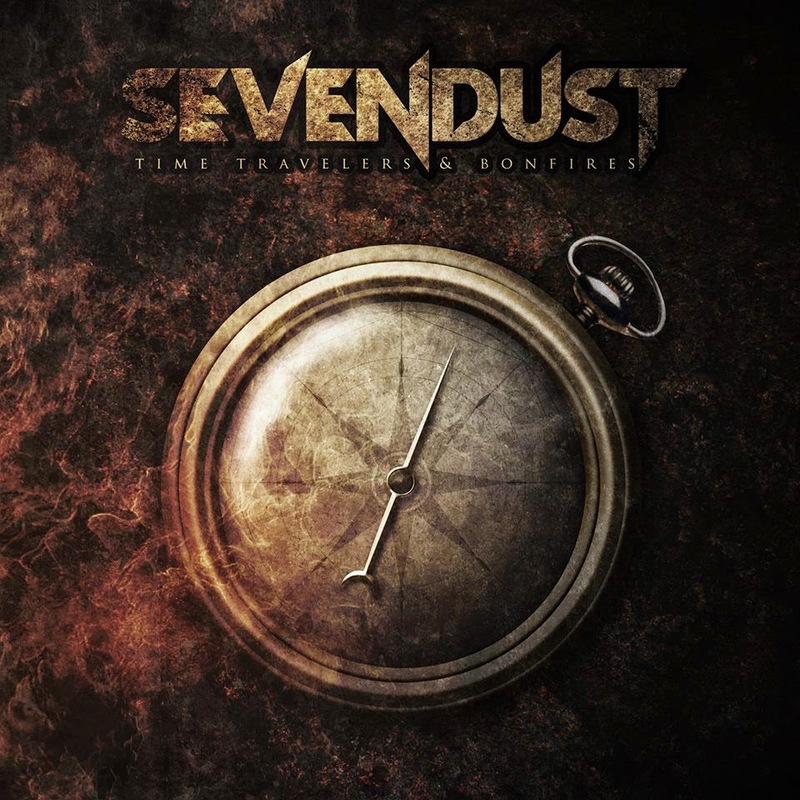 The music video for the former featured Sweet as an astronaut traveling through outer space. In 2000, Sweet released Time Capsule: Best of 90/00, a retrospective compilation which featured two new tracks. In 2001, Sweet and Darius Rucker performed The Beach Boys song "Sail On, Sailor" on the special A Tribute to Brian Wilson, and both the musicians later performed the same song with Brian Wilson himself on Late Show with David Letterman. 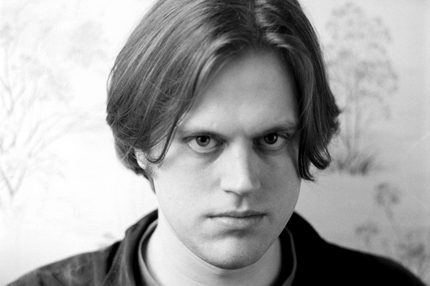 In 2002, Sweet released To Understand: The Early Recordings of Matthew Sweet, a retrospective compilation which featured unreleased material. Also that year, he formed the supergroup, The Thorns, with Shawn Mullins and Pete Droge. In 2003, Sweet released Kimi Ga Suki, a garage-rock album initially released in Japan, where Sweet has a significant following. In 2004, Sweet released Living Things, an acoustic album which consisted mainly of material he wrote while recording with The Thorns. In 2006, Sweet and Susanna Hoffs released Under the Covers, Vol. 1, which featured covers of popular 1960s songs. 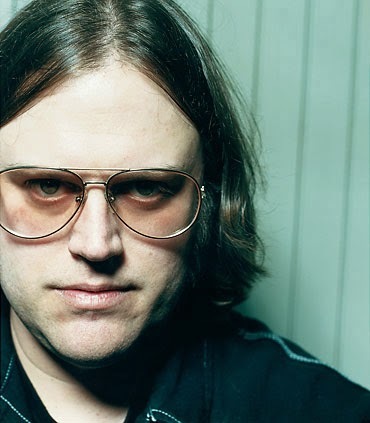 In 2008, Sweet released Sunshine Lies, his 10th studio album, which also incorporated a 2-LP set featuring 4 bonus tracks. In 2009, Sweet and Susanna Hoffs released Under the Covers, Vol. 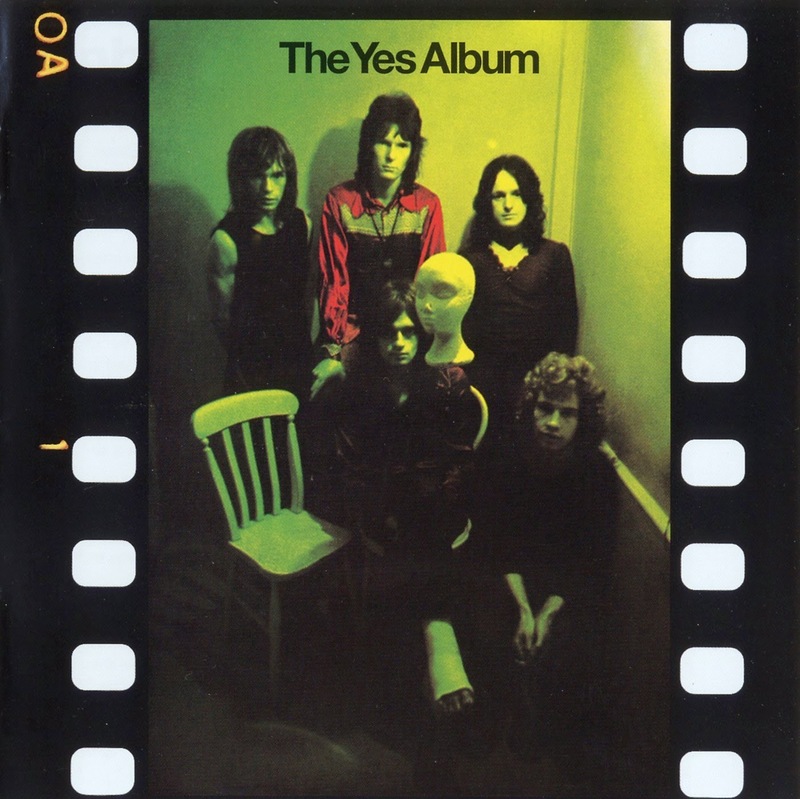 2, which featured covers of popular 1970s songs. In 2010, the musical "Girlfriend", using songs from Sweet's eponymous album, was staged by the Berkeley Repertory Theatre. 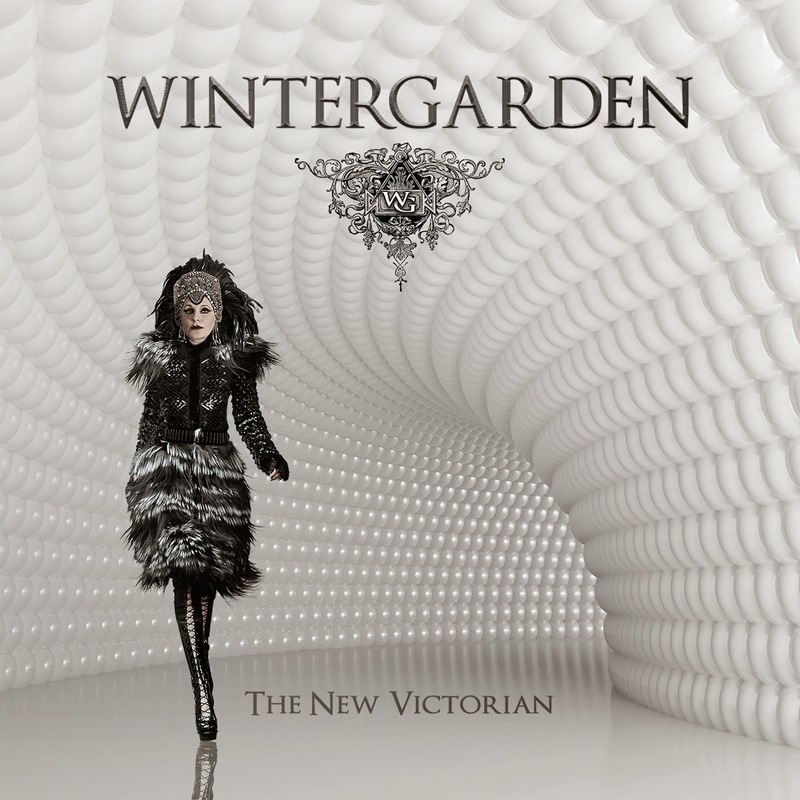 In 2011, Sweet released Modern Art, a labyrinthine album which featured the single, "She Walks the Night". In 2012, Sweet celebrated the 20th anniversary of "Girlfriend" with a tour performing the entire album from start to finish. 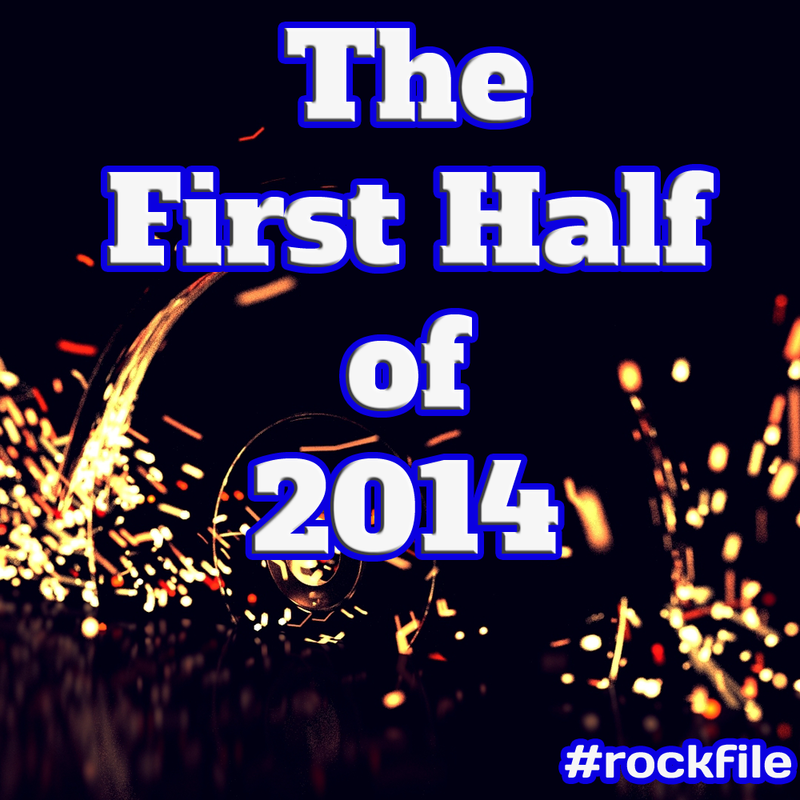 In 2013, Sweet and Susanna Hoffs released Under the Covers, Vol. 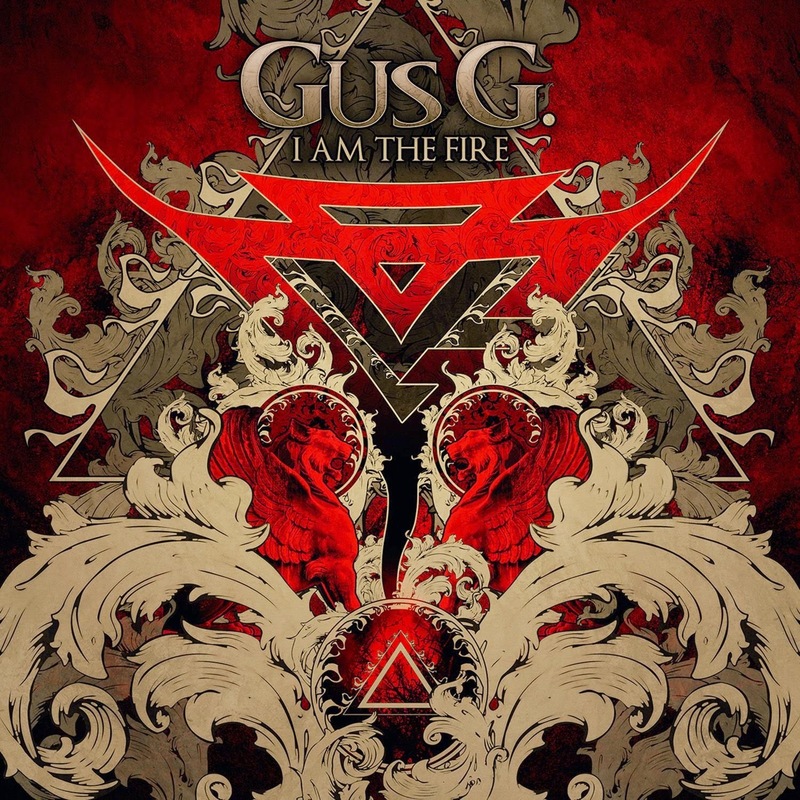 3, which features covers of popular 1980s songs. In 2014, Sweet will be a featured guest-voice on an episode of The Simpsons, the longest-running American sitcom. 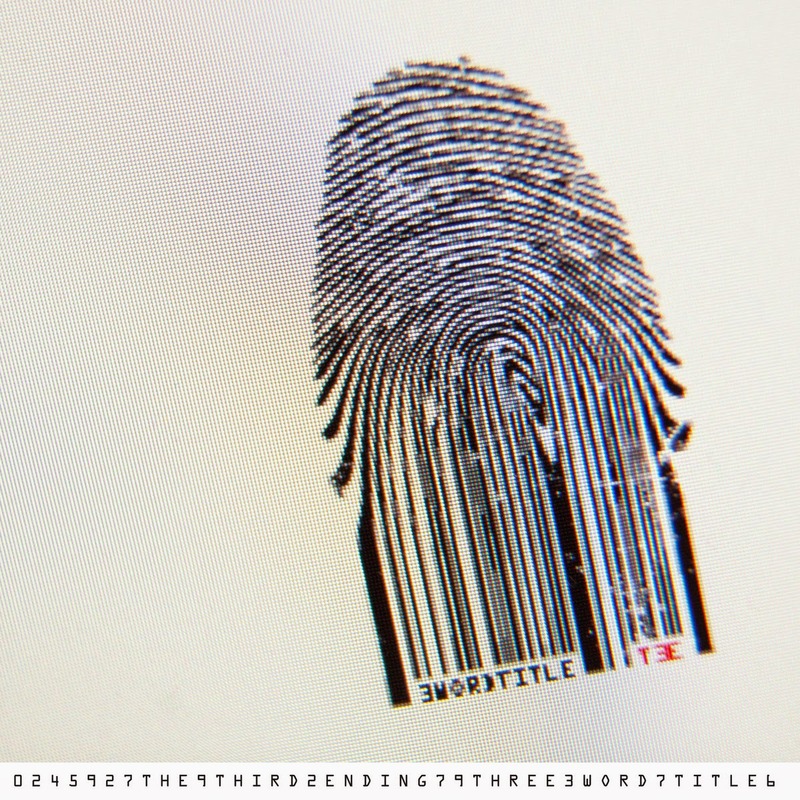 In June 2014, Sweet began a Kickstarter project to create a new studio album and 3D art project. 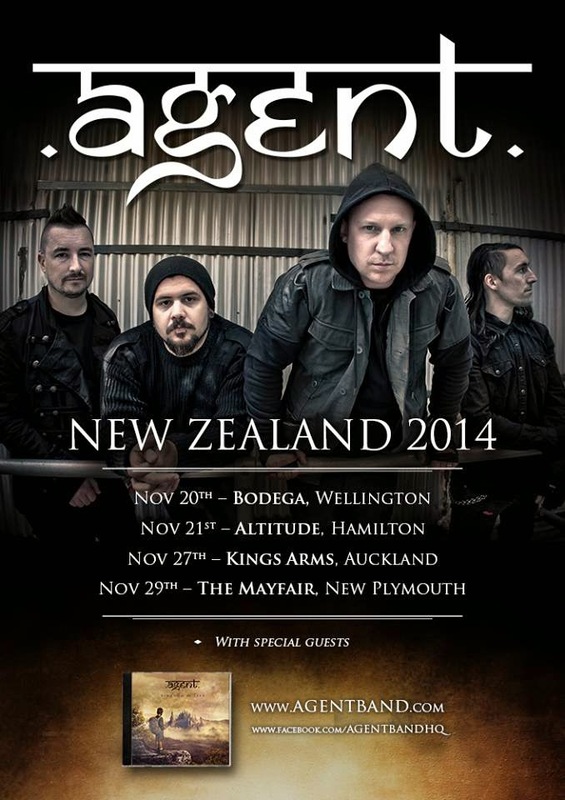 We just started playing AGENT on Rockfile Radio ICE this week and the band just debuted the video. 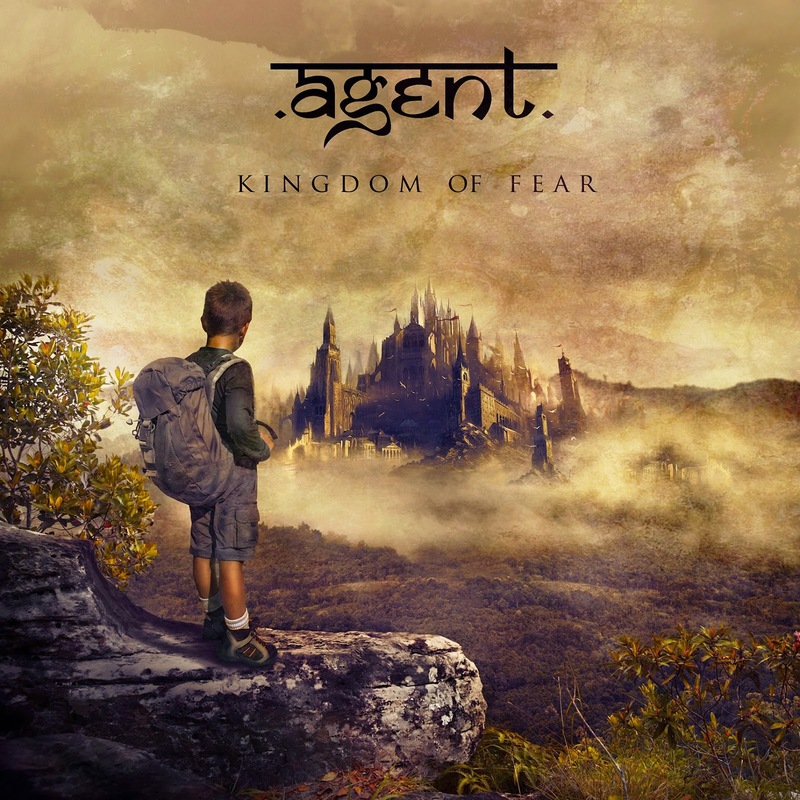 'Collecting Scars' is the latest single by London based rock band Agent from their album 'Kingdom of Fear'. Filmed and edited by Marcus Maschwitz and Ryan Prout. Having a long career in radio gives me the benefit of hearing more music than most, I try to listen to everything that comes across my desk. 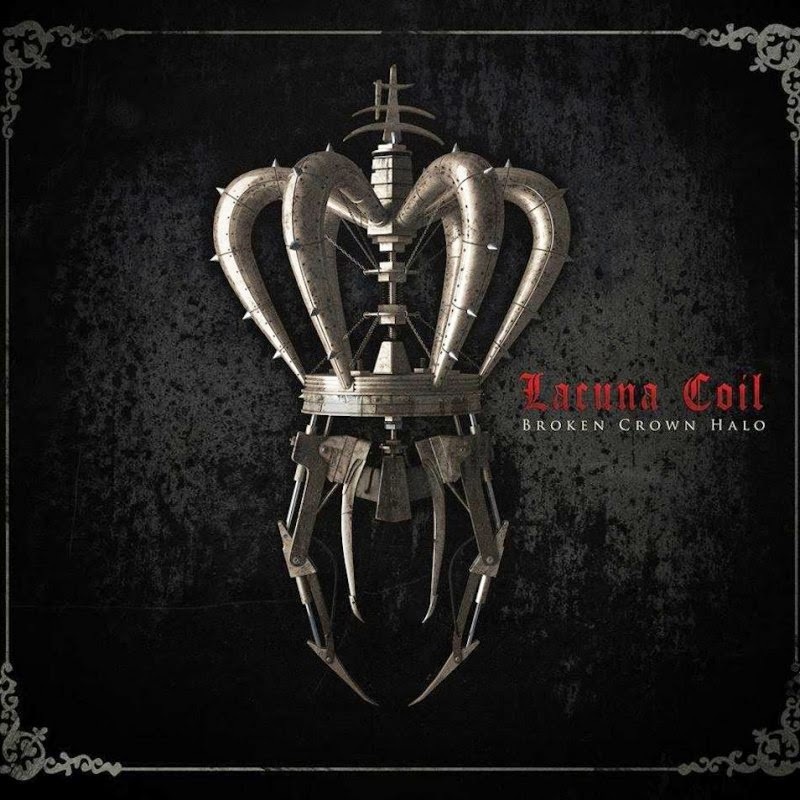 Obviously, I stick to various rock-oriented music for my job these days but, that is also normally what I listen to in my "off time". This is a list of the music I have listened to most in the first half of the year. As always, there will be a year-end post. I meant to have this posted last month, sorry for the delay. They are not ranked but the ones near the top are the first that came to mind, for what that's worth. Notice I called them favorites, not best. I am not passing professional judgment, these are just what got played the most by me. Your mileage may vary. You may not like them all but I am sure you will find some interesting things in this list. 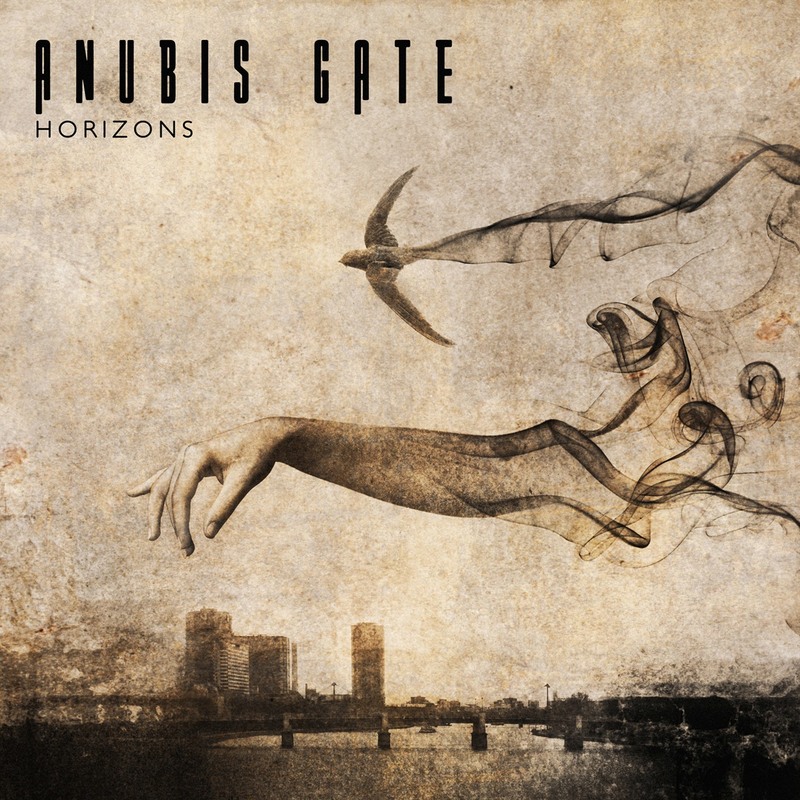 I have been an Anubis Gate fan for a while but the new album knocks it out of the park. 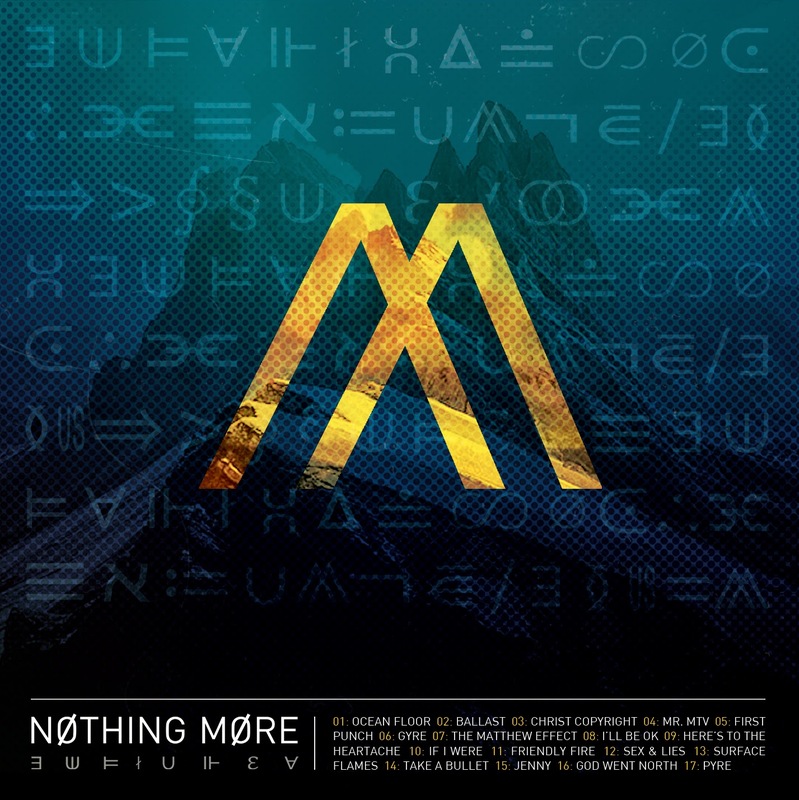 I've been listening to Nothing More since last year but it was officially released this summer. They will be huge! 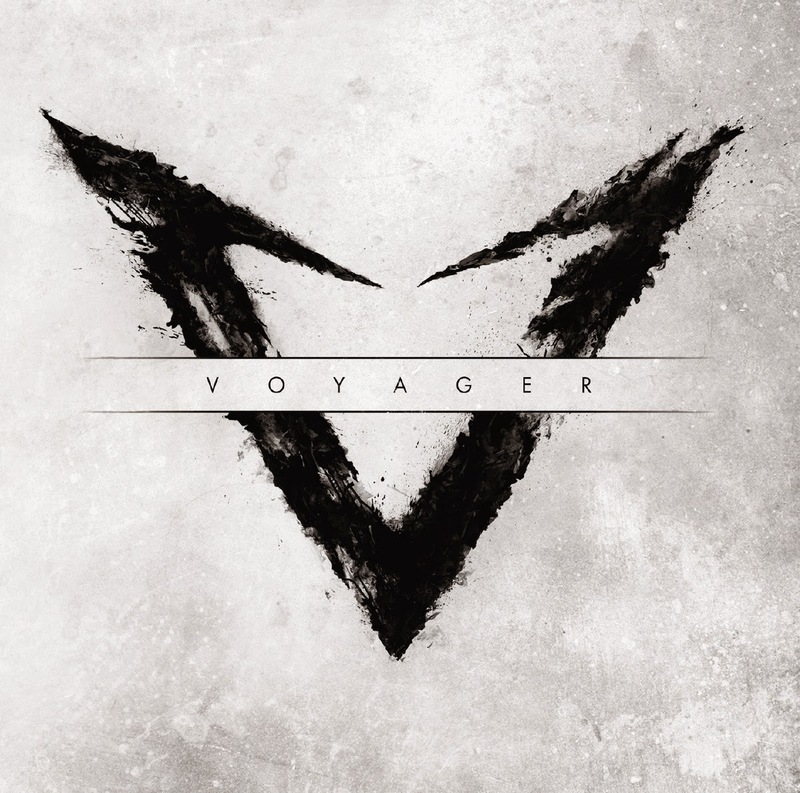 Voyager's new album is a little left of center from what you expect of them. and it works fabulously. 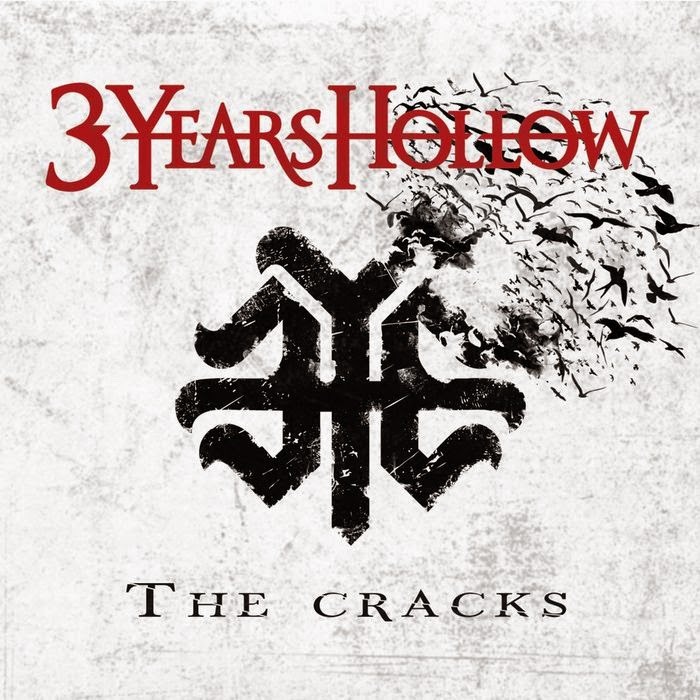 Been waiting for the second album from The Third Ending for years and it finally arrived, as perfect as the 2006 debut. 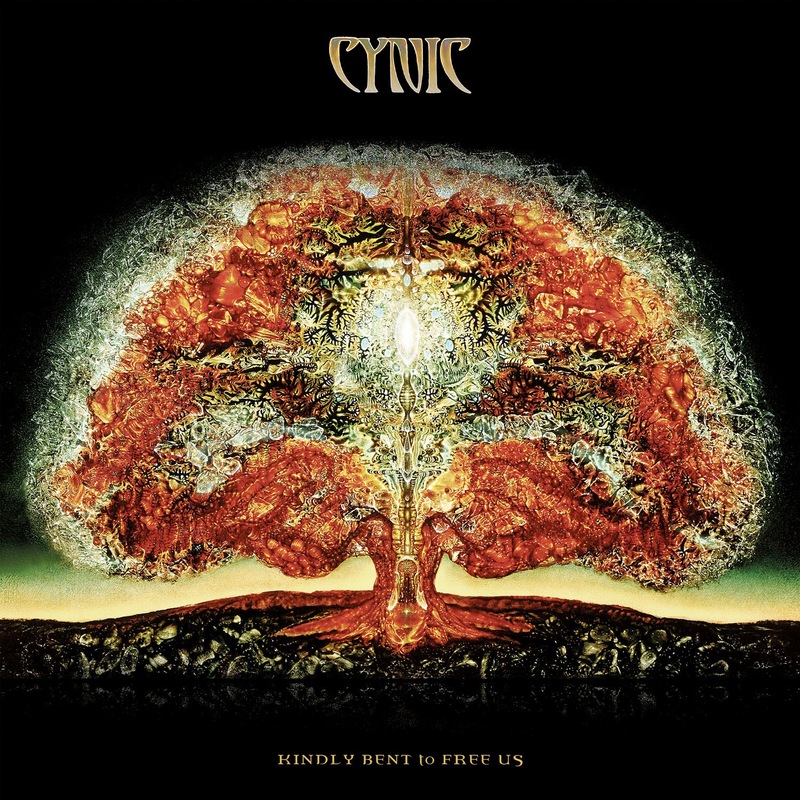 Cynic dropped some of the "metal" stylings of their previous outings and came up with a real work of art. 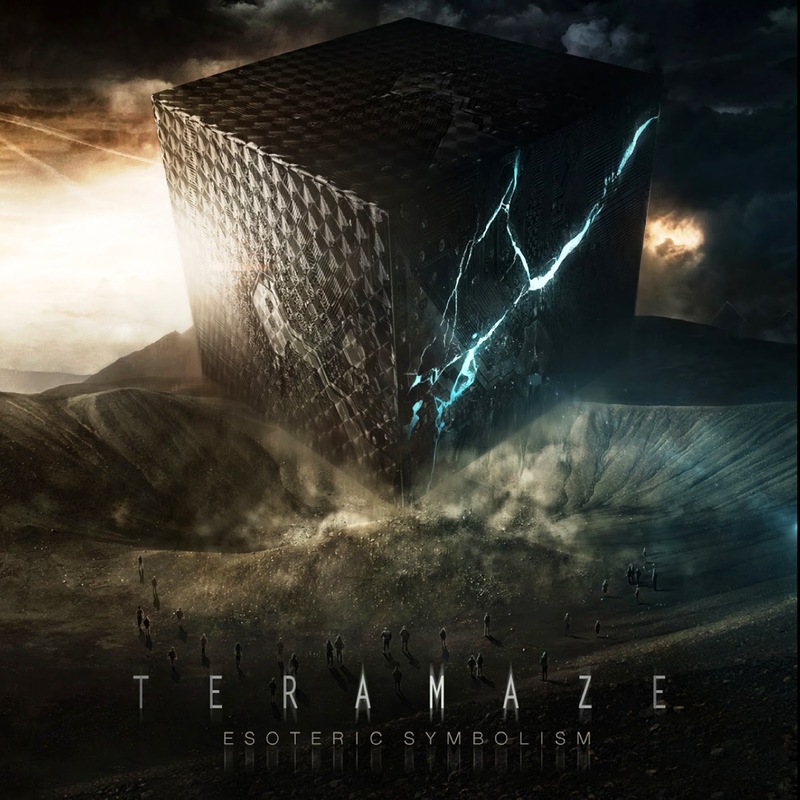 The fourth album from Teramaze is their best work yet. 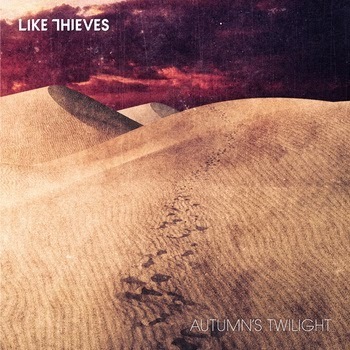 Recently discovered Like Thieves (although, I know Clint Boge from The Butterfly Effect) and was blown away. Clint can sing anything and make it amazing. 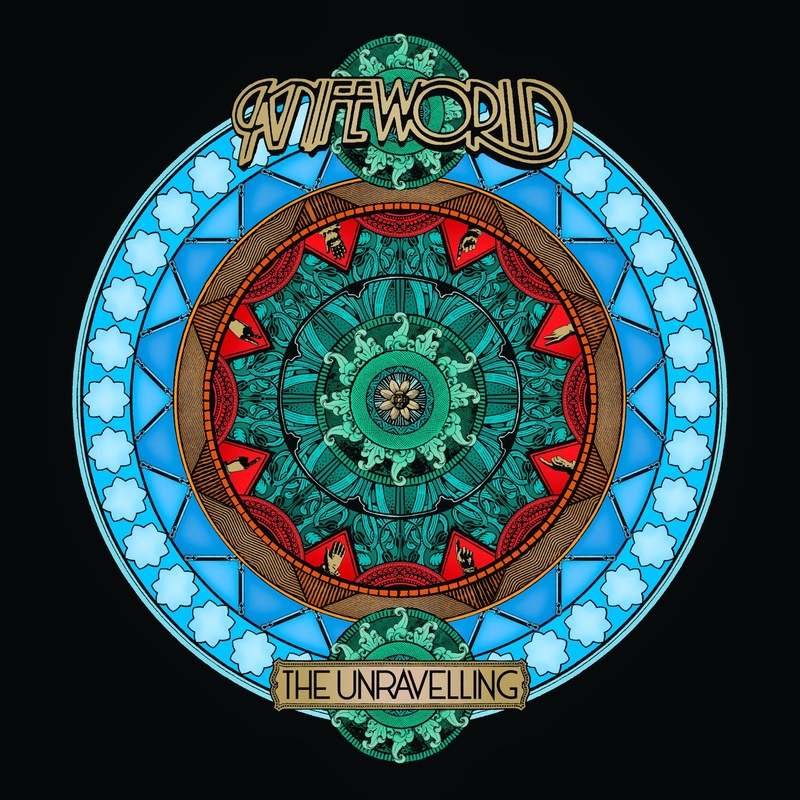 Knifeworld's second full album will blow your mind. 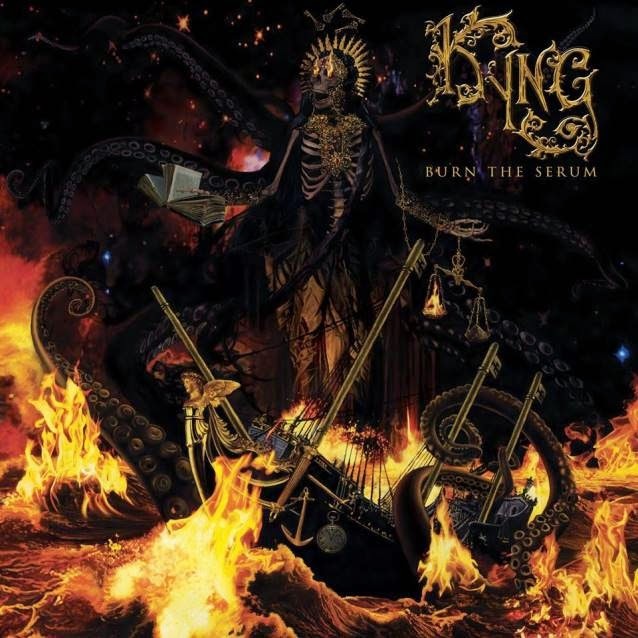 Reminds me a little of Haken's The Mountain from last year but is definitely a sound unto itself. 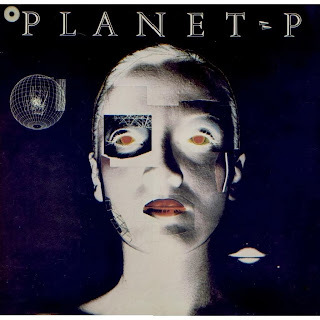 I wasn't as thrilled with their earlier recordings, I am not a "retro" kind of guy. 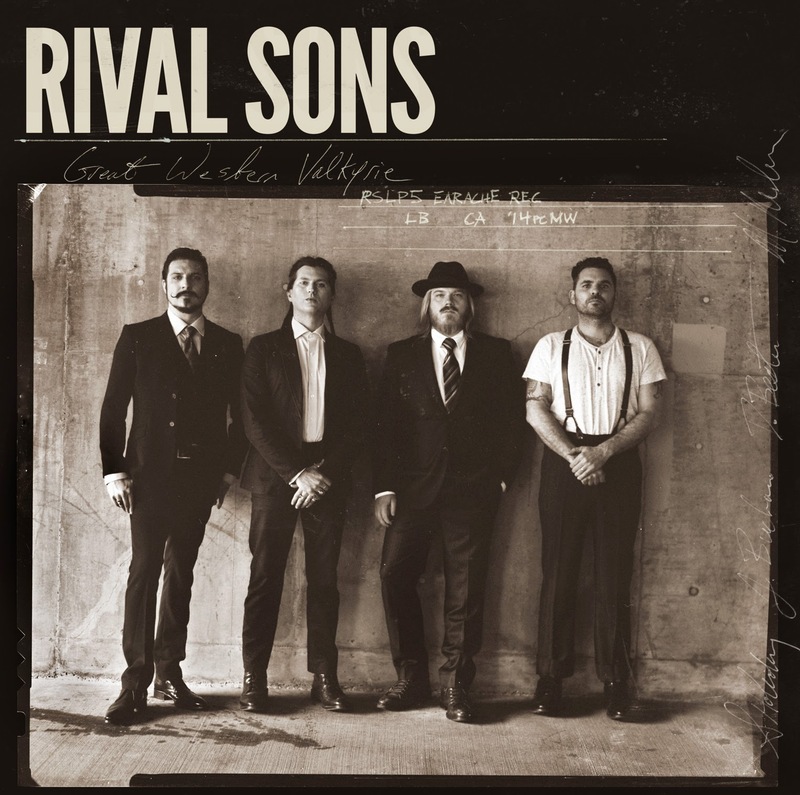 But, although their feet are firmly rooted in classic bluesy rock, Rival Sons have come into their own on the new record. 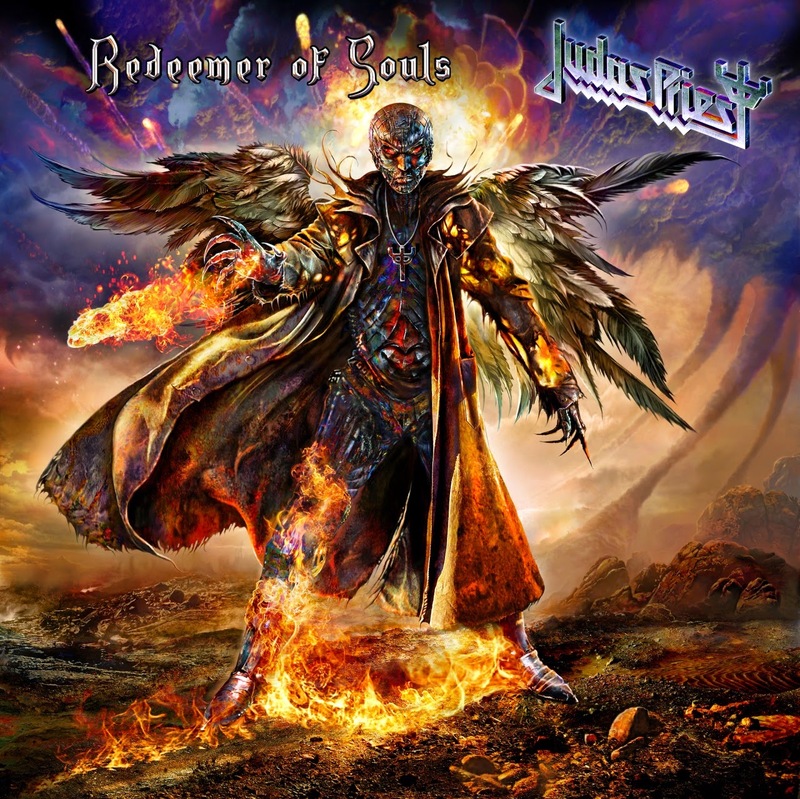 The Judas Priest is the best since Painkiller or Screaming For Vengeance. 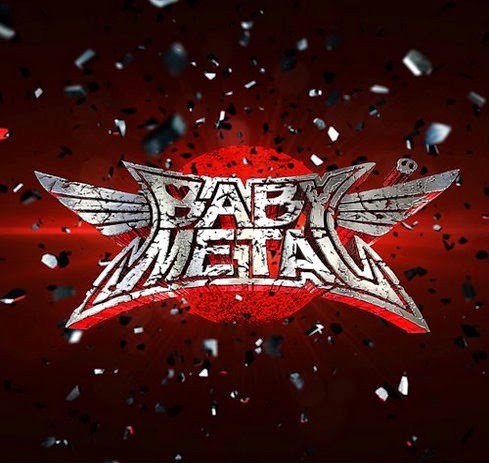 Admit it, Babymetal is fun. And the band jams! 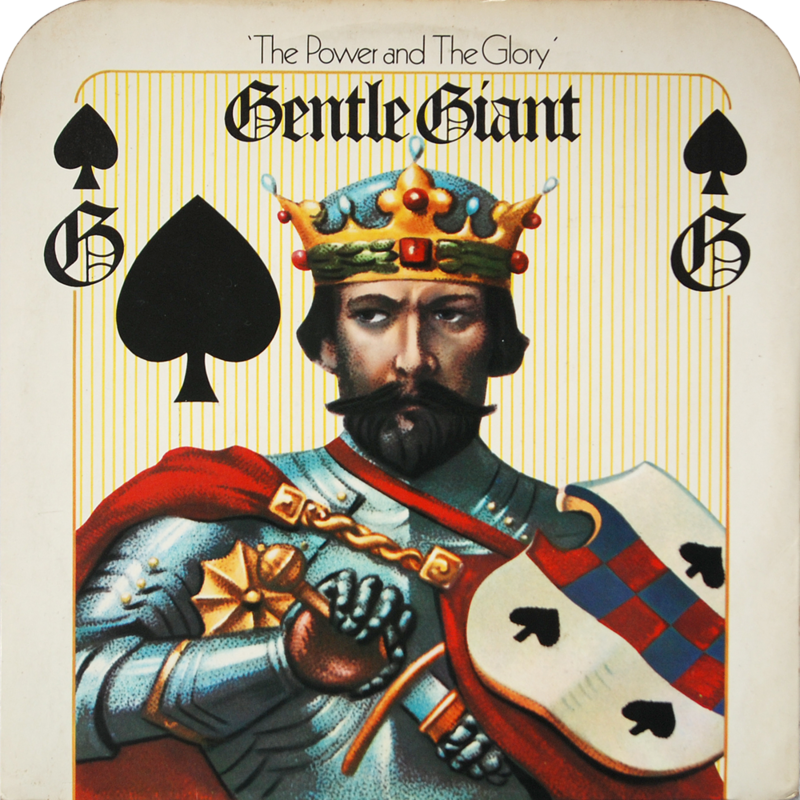 With regards to the Gentle Giant, Jethro Tull and Yes releases, please let Steven Wilson remix and remaster every classic prog rock album. He truly gets it. I still have a stack of things to listen to, many things will change by the end of the year.